In time where everyone plans their rides weeks before and shares them afterwards on online platforms… we thought it is time to go back to the roots and explore a bit more! 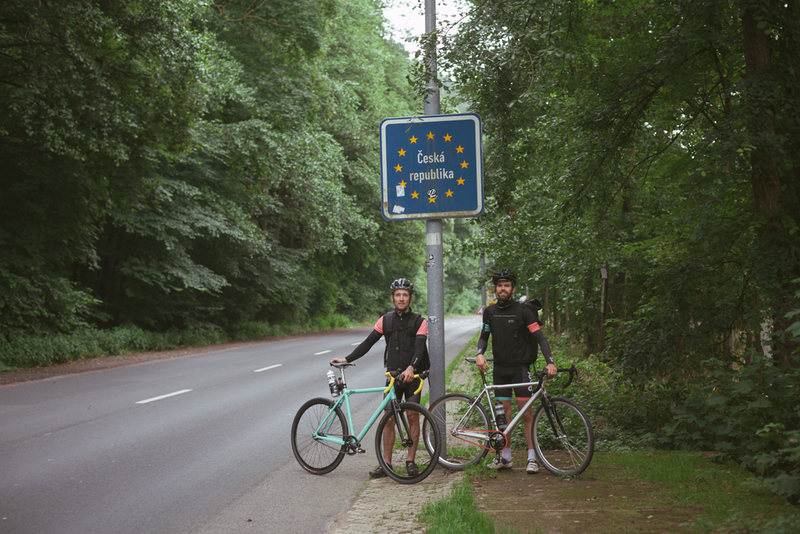 The 8bar team riders Stefan and Max took it a bit further and came up with the idea to go from Berlin to Prague without a map. Just with a compass and the option to check their coordinates twice a day. We were always looking for an opportunity to test the 8bar TFLSBERG Singlespeed Cyclocross Bike. So this was perfect… With the TFLSBERG we were able to take paved roads, forest roads and also some Single trails. We started on a Thursday morning and kept heading South-South-East (SSE). It was a sunny day and we were in good mood. Max and I literally took every path that headed SSE but got lost a lot of times. Luckily the following road was leading us in the right direction and we got already 80km when we did the first lunch break. Now it was the first time to check our coordinates… We were pretty happy as we found out that we got lost from the beeline by only a few kilometers. The rest of the day was a nice ride on paved roads and some forest roads. We managed to do 160km on the first day and ended up in a town called Finsterwalde. The goal of the day was to cross the Czech boarder, which was at least another 160km of riding (if we find a good road). So we started early and headed SSE again on a paved road. This way we made around 100km in just a few hours. As we got closer to the Czech boarder it got more and more hilly. 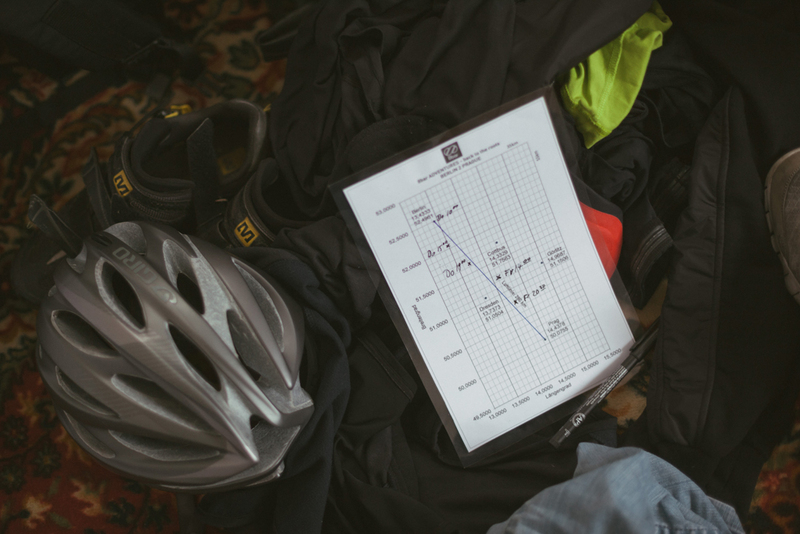 We suffered a lot with just one gear and our big bag and had to push our bikes at some of the uphills in the forest. The next problem was that there is no road every few kilometers which crosses the border. So we ended up riding around 20km in the wrong direction just to find a road that crosses the border. Nevertheless we made another 173km on day two and fulfilled our goal to get into the Czech Republic. As we checked our coordinates in the evening we found out that we are still very close to the beeline and also got more then 2/3 of the total distance already. 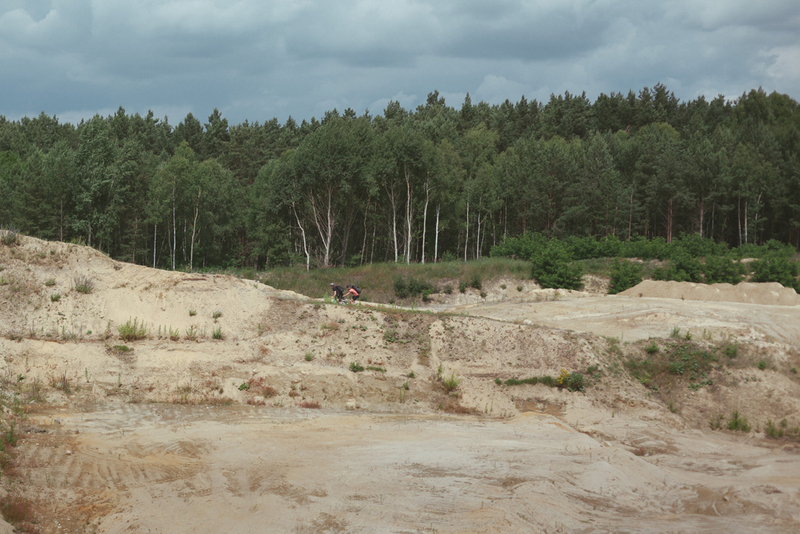 Our ride on day 3 was mostly along the Elbe… After 50km of easy riding along the river we got into some trouble. 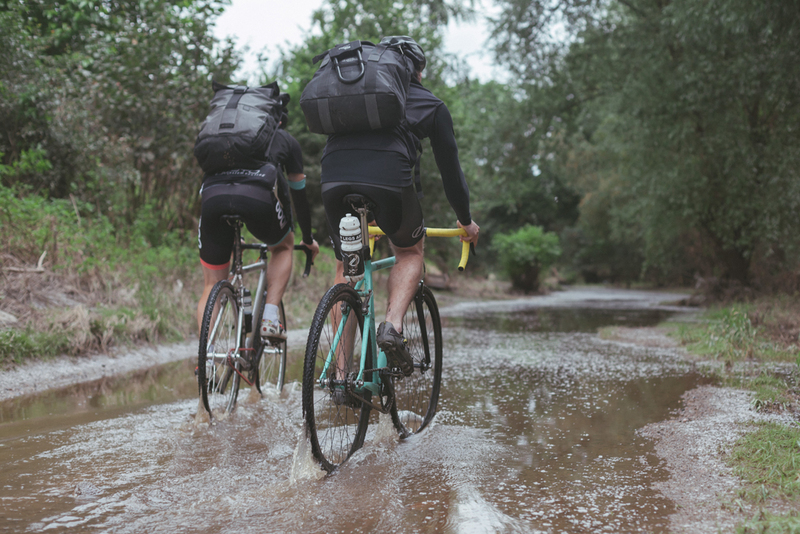 Because of the heavy rain in the past weeks there were some parts of the bicycle lanes flooded. We asked ourselves if we should give it a try and ride through the water or go back and look for another route. As we looked on our compass it was clear that we have to give it a try. The water was sometimes nearly knee deep but it was a lot of fun! As the Elbe went in the wrong direction we sticked to the rules and went further SSE (even if we knew that the Elbe would have brought us directly to Prague). The last 50km were on one of the most boring roads… It was just straight, packed with cars and slightly up- and downhill. Our asses hurt and we just wanted to arrive. Then we finally saw Prague… All our pain was forgotten and the smile came back into our faces! It was a great feeling going downhill into the city centre of Prague… and Prague is a perfect destination for such a trip. 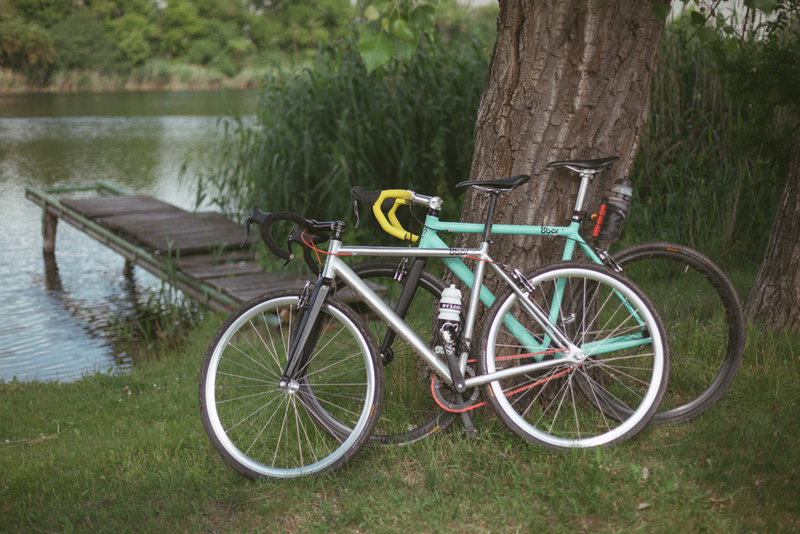 The TFLSBERG Singlespeed Cyclocross bikes were perfect for this trip. We could literally take every path we wanted. Fast on the road and good to handle offroad. –> ALL RIDE!!! We suffered a lot in the last days, but it was a really nice trip… Don’t plan too much and you will have the adventure of your lifetime! 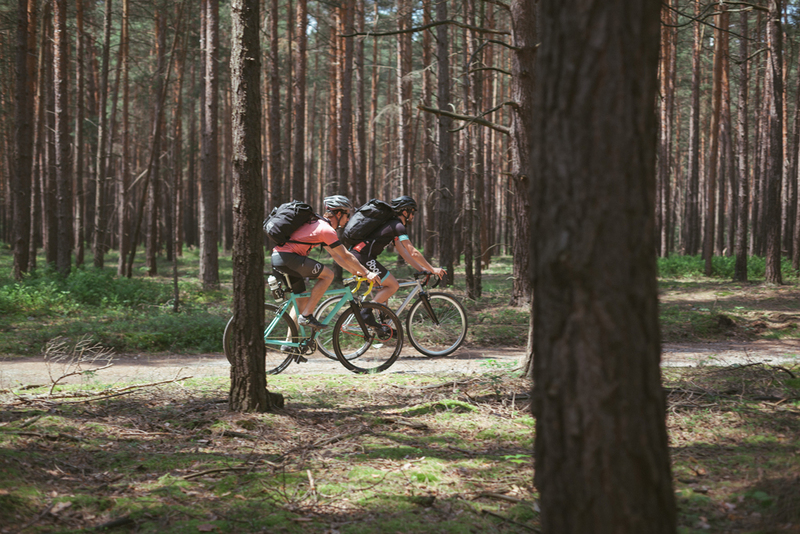 Go out for your ride… take the new path and just go as far as you want!! !